Fracking is certainly a controversial subject, no matter where you live. This type of drilling has been very lucrative for the Texas economy, but it has come at a high cost. Not only does it have a significant environmental impact, but it also affects our residents and workers. This is far more than just a hot-button topic for columnists these days; it is changing people’s lives, and very rapidly. “Fracking” is the colloquial term for hydraulic fracturing, the process by which pressurized water, chemicals and minerals are mixed together and then injected deep underground to break shale deposits so that the natural gas trapped inside can be collected. Gas companies use a proprietary mixture and drill either vertically or horizontally into the rock layer, which can create new wells or expand existing channels. Why is fracking controversial in Texas? Fracking is something that even when done correctly can cause major health and safety issues. This form of drilling produces tons of wastewater, and it is filled with sediment, rock pieces and chemicals. This water is generally not recyclable, though the Texas government is playing with methods to reuse the water from fracking wells. Otherwise, that chemical-ridden waste is injected deep underground in concrete-lined wells, since it cannot be disposed of in surface waters. How else does fracking affect Texans? 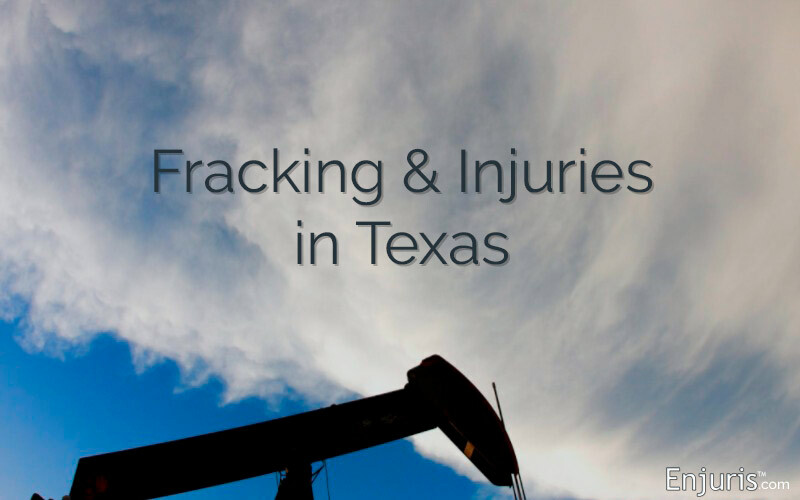 The Academy of Medicine, Engineering & Science of Texas (TAMEST), looked into how fracking is affecting people who live in Texas, forming the Shale Task Force. EcoWatch reported the study found that fracking uses approximately only 1% of the total state water usage. However, it can be up to 90% of a rural community’s usage, as each well requires between one million and five million gallons of water. Additionally, road damage from increased oil operations has been found to have increased almost $2 billion in infrastructure costs. The trucking industry has also not escaped unscathed, as their vehicle damage and slower operating speeds are costing them between $1.5 billion and $3.5 billion per year. The most important parts of this process, however? The pieces that usually are overlooked and forgotten? The people who live around these fracking sites and the workers at the sites themselves. What can I do if I think I’ve been harmed by a fracking operation? Sometimes there might be an award for punitive damages as well if the plaintiff can show that the oil company engaged in reckless or wanton behavior. These damages are intended to punish the offending party, whereas economic or non-economic damages are calculated based on the loss experienced by the victim. If you are a fracking victim, please contact me today. These cases are complicated, and you will be going up against a corporation that has endless money at its disposal. It is also a defendant-friendly system, as the only case in which a plaintiff even won a case where fracking was involved was recently overturned by an appellate court.